Adam Levine lost two of his team members on Tuesday's episode of "The Voice," but it was a comment he made post-elimination that got people talking. The Maroon 5 frontman was overheard muttering "I hate this country," after Judith Hill and Sarah Simmons were ousted from the NBC singing competition. His remark drew quick reaction online, with some criticizing Levine and others defending his comment as a joke. Later, he released a statement saying, "I obviously love my country very much and my comments last night were made purely out of frustration." 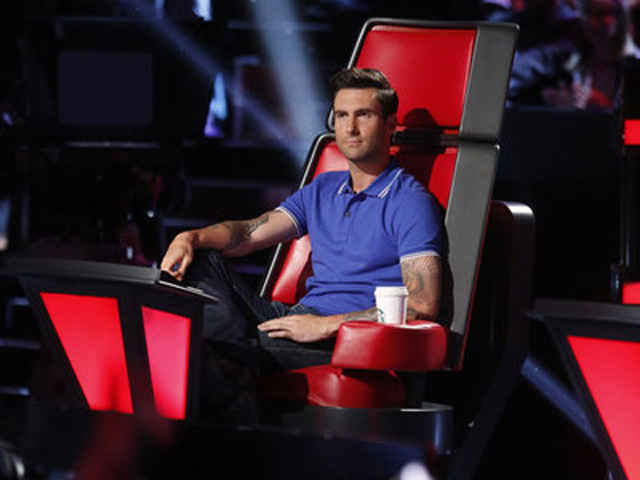 "Being a part of 'The Voice,' I am passionately invested in my team and want to see my artists succeed," Levine added. "Last night's elimination of Judith and Sarah was confusing and downright emotional for me and my comments were made based on my personal dissatisfaction with the results. I am very connected to my artists and know they have long careers ahead, regardless of their outcome on the show." The elimination of Simmons and Hill -- both judges' favorites -- leaves Levine with just one singer left on his team (Amber Carrington). Usher and Shakira also have one team member remaining (Michelle Chamuel and Sasha Allen, respectively), while Blake Shelton still has three contestants on his team (Holly Tucker, Danielle Bradbery and the Swon Brothers).